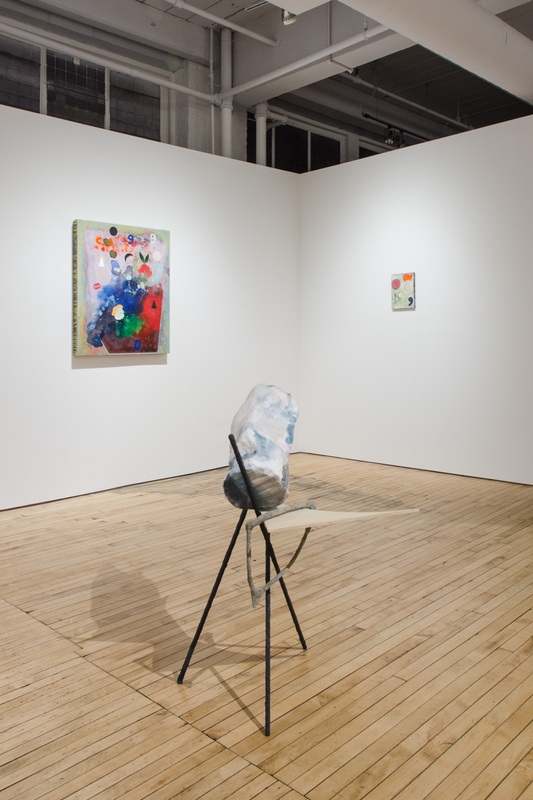 Contributed by Becky Huff Hunter / Alchemy, Typology, Entropy at Fleisher/Ollman, Philadelphia, features painting and sculpture by three talented artists who live and work locally: Adam Lovitz, Peter Allen Hoffmann, and Alexis Granwell. 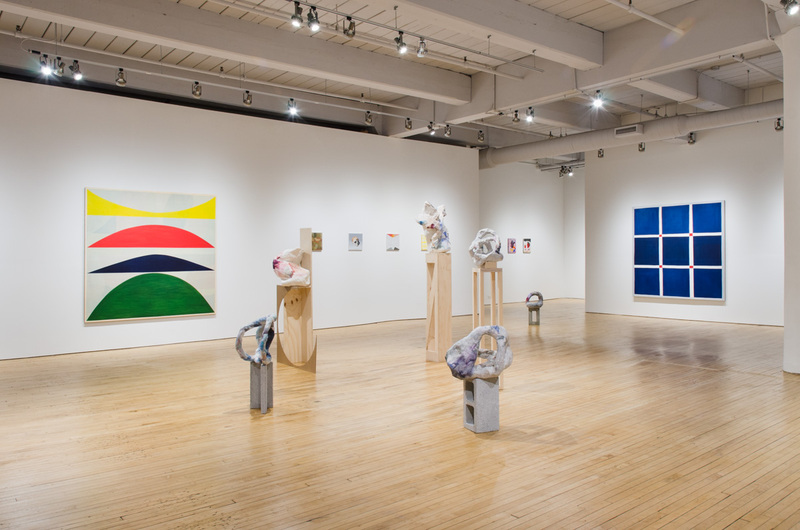 The exhibition is one of several fantastic shows curated by Alex Baker this year—including Cryptopictos, Painters Sculpting/Sculptors Painting, and Person, Place or Thing—that collectively highlight the current energy, and formal and conceptual conversations, around painting among multiple generations of Philadelphia-based artists. 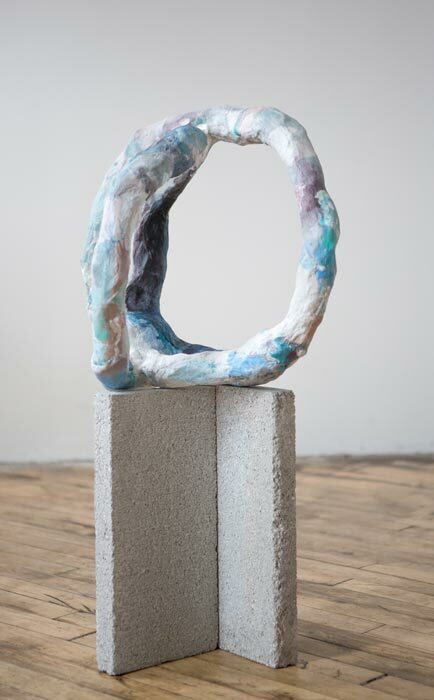 Alexis Granwell’s biomorphic body-scale papier-mache sculptures on geometric wood, Masonite, and brick plinths are centrally positioned in the gallery, inhabiting it like curvier, less severe versions of Louise Bourgeois’s groupings of Personages. The painterly quality of layered, almost-patchworked paper in soft blues, peaches, and indigos, which Granwell makes by hand, lends works like Opponents (2017) a sense of ruin–as if distressed, forgotten objects had been restored with an intimate touch. 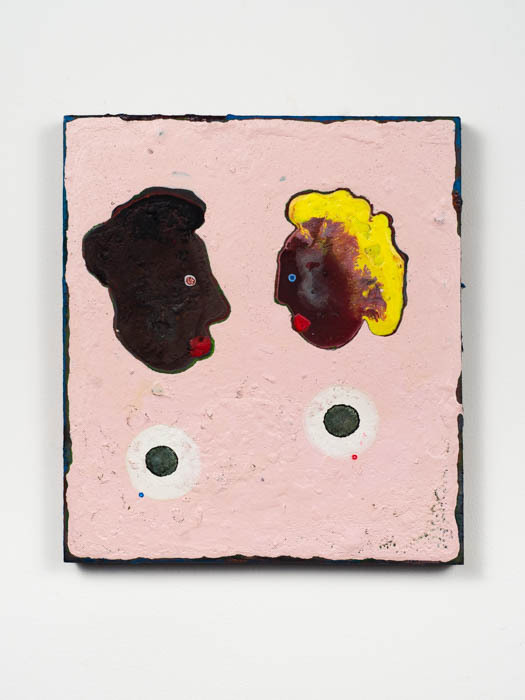 This restorative gesture reminds me a little of Jessi Reaves’s broken and put-back-together furniture or Dona Nelson’s collaged constructions (which were also recently shown at Fleisher/Ollman). 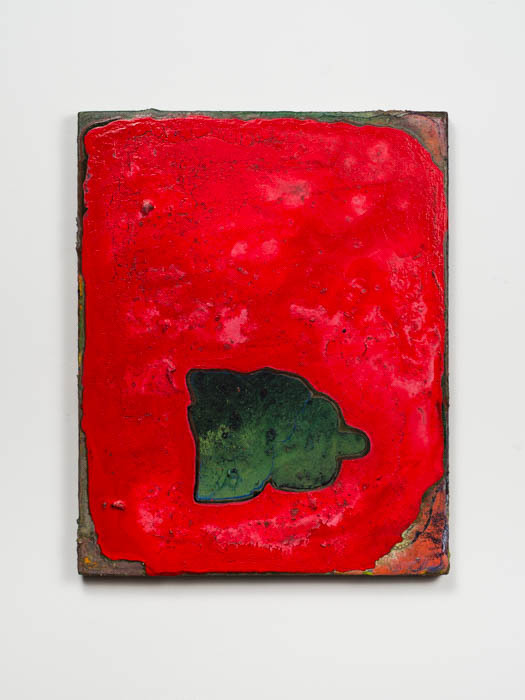 Green in the face (2017), one of Adam Lovitz’s modestly sized portrait-oriented panels, combines vibrant red and green acrylic with rough sediment made from the mineral schist, which he found during a hike along the banks of Pennsylvania’s Wissahickon creek. 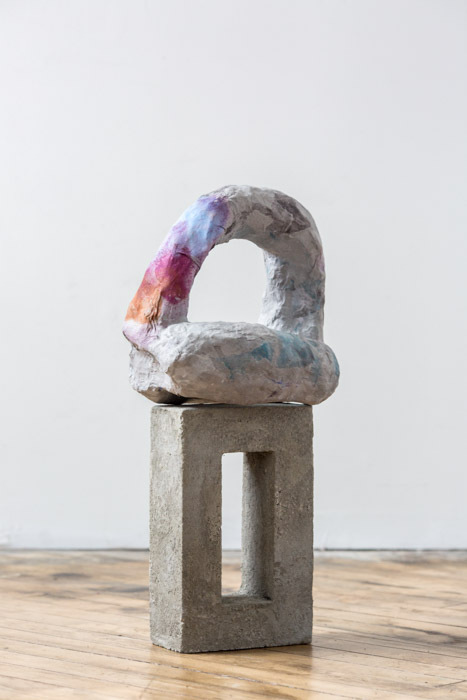 His alchemical process involves scraping paint and mineral dust from works in progress, remixing and reapplying these materials, and further sanding and layering to produce complex topologies. 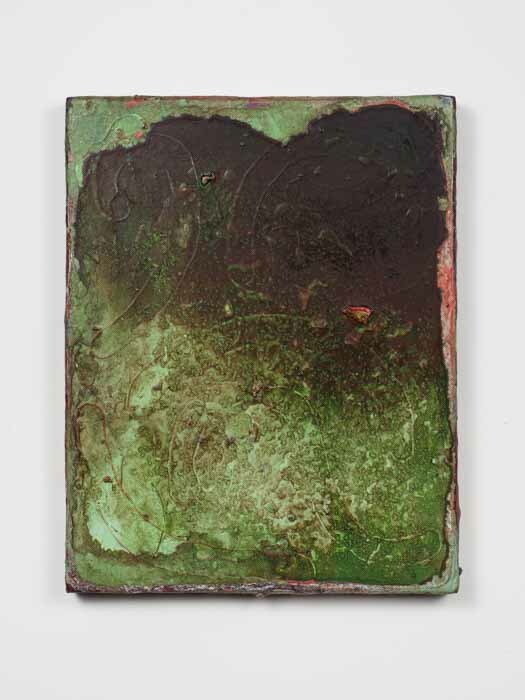 In Wet Grass (2016), with the pale green and mud brown patina of an abandoned bronze that has been carved up and graffitied, the gritty paint mixture looks lovingly curdled. 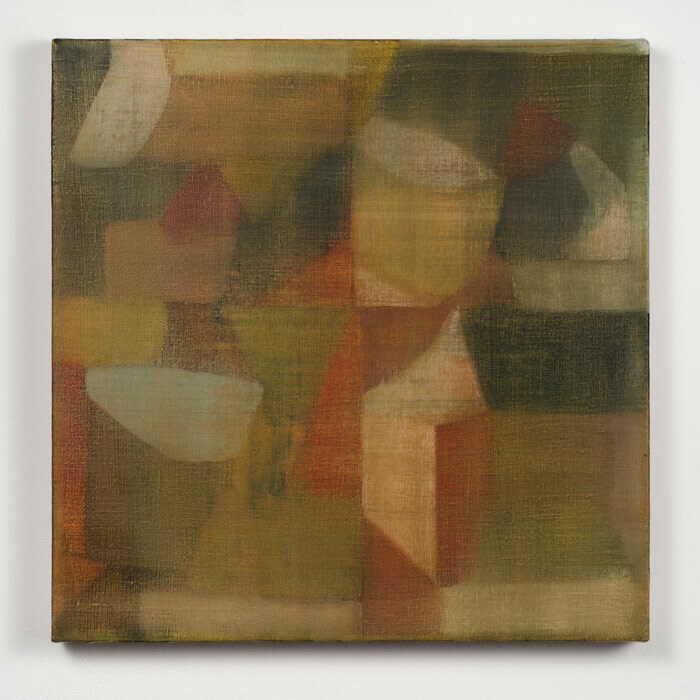 A row of Peter Allen Hoffmann’s small, square oil-on-canvas works range in style from the casual Untitled (2016), a loosely rendered, sunrise yellow ombré grid—a sketch of a textile pattern—to the traditional still life study, Skull (2016), to the modernist-looking Crazy Quilt (2014), a composition of flattened geometric forms in muted browns and greens like one of Paul Cezanne’s late nineteenth-century views of village rooftops. Hoffmann draws inspiration from historical American thought and craft, hence the diversity of his imagery. The quilt-like layering of his material reflects upon the stitching together of the exhibition as a whole. 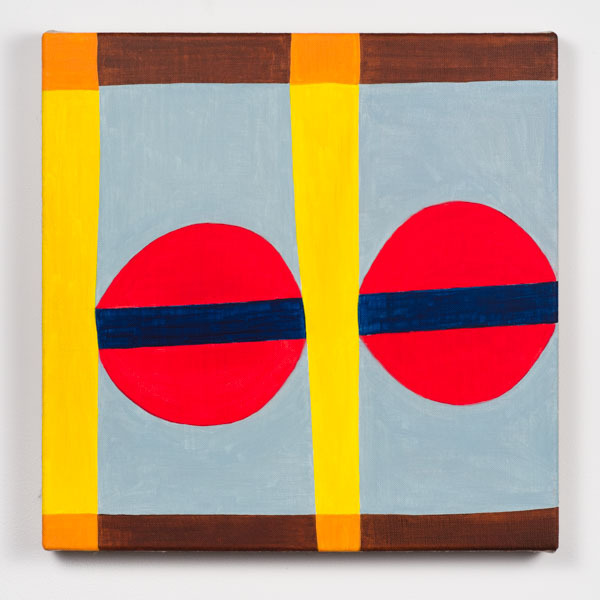 Viewing this quietly beautiful exhibition invoked a memory of the first time I saw the Argentinian painter Varda Caivano’s subtle semi-abstract paintings at Victoria Miro, London. 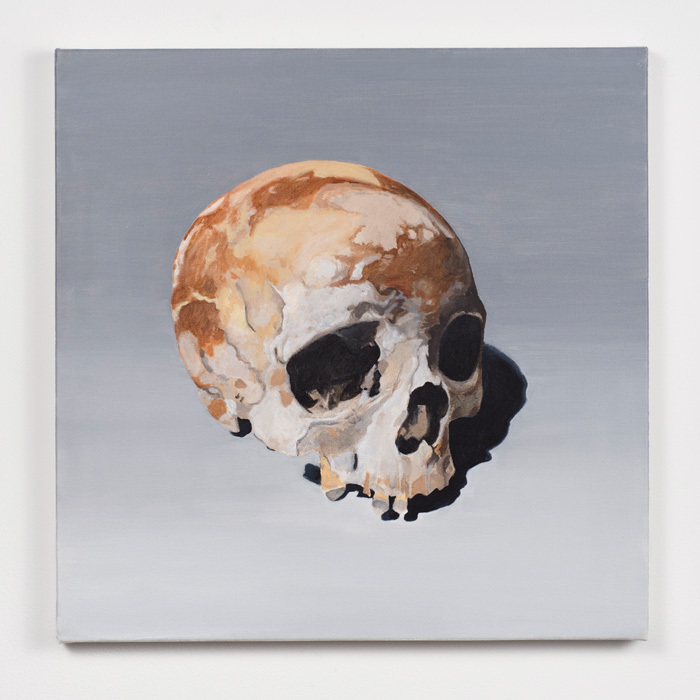 Caivano’s observation that “paintings are like thoughts… the studio works like a head” is relevant here. 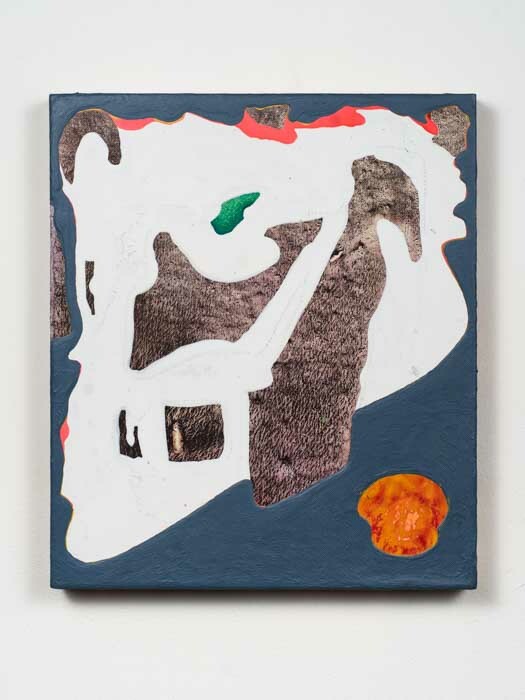 Riding this simile, curator Alex Baker has succeeded in putting three artistic heads together in a fascinating spatial and visual conversation about materialized thought. “Alchemy, Typology, Entropy: Adam Lovitz, Peter Allen Hoffmann, Alexis Granwell,” Philadelphia, PA. Through August 25, 2016. About the author: Becky Huff Hunter is an independent writer, editor, and researcher, who regularly covers Philadelphia-area contemporary art in Artforum. She has written for Frieze, Sculpture, and Art Papers, as well as numerous exhibition catalogue essays, and she works as a staff writer at the University of Pennsylvania.